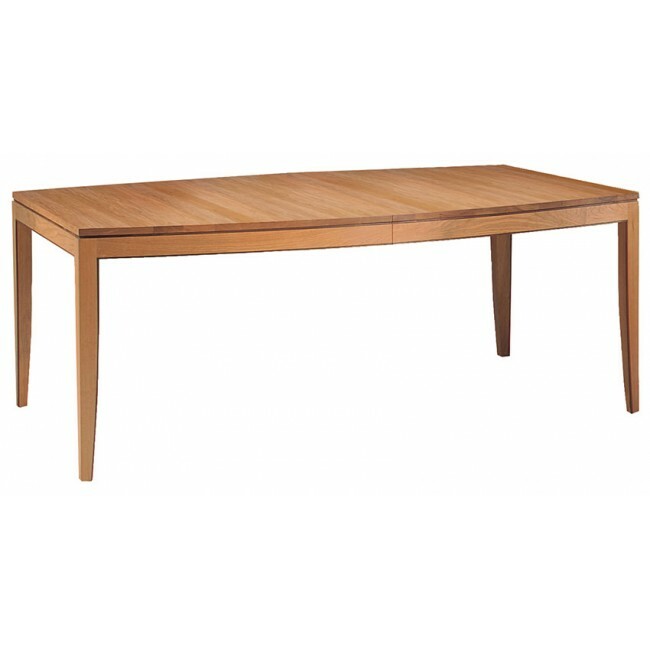 This solid cherry table with walnut accents is graciously proportioned with a gentle bow shape. Legs are elongated with a slightly tapered curve and walnut accents. Two 16” aproned leaves standard.